Modern Art Museum is proud to present Artist Textiles: Picasso to Warhol, a groundbreaking exhibition with rare pieces, many never before seen on public display, from the masters of 20th-century modern art. From William Morris onwards, many artists in the late nineteenth and early twentieth centuries attempted to make their work more relevant to the lives of ordinary people. They recognized that design was a way of achieving this, particularly through industrially manufactured textiles for the mass market. Between 1910 and 1939, many members of the Fauvist, Futurist and Constructivist movements in particular became involved with textile design, which quickly came to be seen as an important aspect of an artist’s work. Among those involved were Modernist artists such as Raoul Dufy and Sonia Delaunay in France, and, in Britain, Duncan Grant and Vanessa Bell, and the Constructivist Ben Nicholson. In America the pioneering work of the artist and textile designer Ruth Reeves helped set the pace, and leading textile manufacturers recruited Modernist photographers of the stature of Edward Steichen as designers. In Russia the women Constructivists Liubov Popova and Vavara Stepanova revolutionized the design of textiles and mass-produced clothing, the influence of which continues to reverberate today. 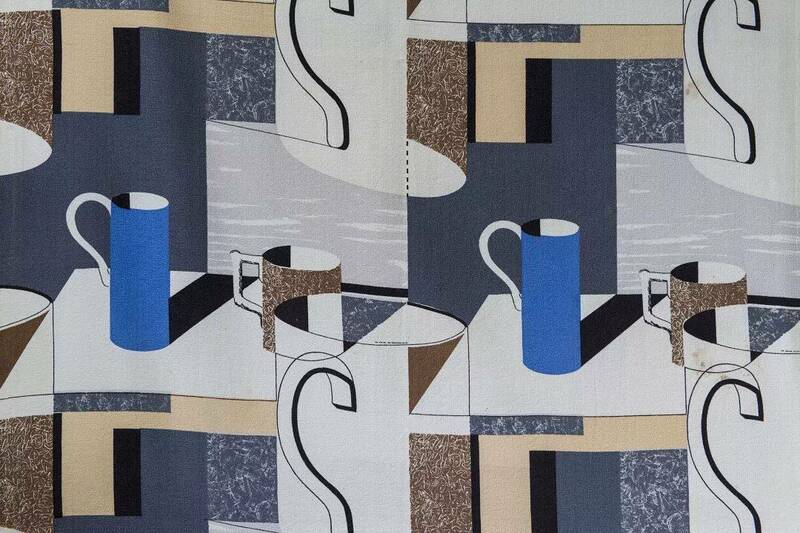 Textile designs by artists were an important part of 1940s Britain, as national strategy of postwar recovery, many leading British painters such as Henry Moore and Henri Matisse produced designs for head squares and fashion yardage. While the successful engagement of fine artists with textile design in America was reinforced by the vitality generated in the resurgence of American society and culture in the post-war era. the most obvious way to demonstrate an allegiance to fashionable modernity was through the fabric of your clothes or the furnishings of your home. Throughout the 1950s many British textile manufacturers, including the prestigious Edinburgh Weavers, employed talented artists to design for them. Under the directorship of the visionary painter/weaver Alastair Morton, the company translated the designs of many leading artists, from William Scott and Joe Tilson to Victor Vasarely and Marino Marini, into exclusive textiles. While David Whitehead Ltd produced many affordable textiles by artists such as Henry Moore, Eduardo Paolozzi and John Piper. Manufactured by Heal and Son Ltd, the most memorable being the cool abstract designs commissioned from the painter Paule Vézelay. 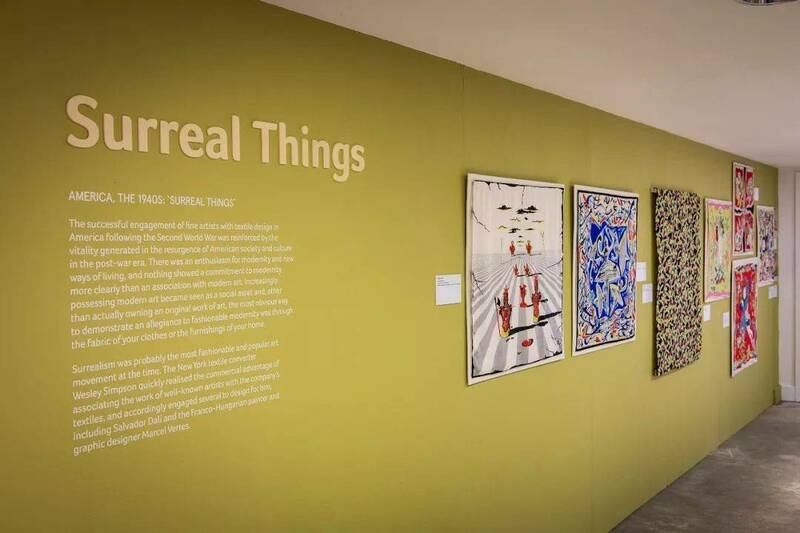 The 1953 exhibition “Painting into Textiles” was an important milestone in the developing concept of textile design as a bona fide artists’ medium in post-war Britain. Many major British artists took part, among them Henry Moore, William Scott, John Piper, Graham Sutherland and Eduardo Paolozzi. 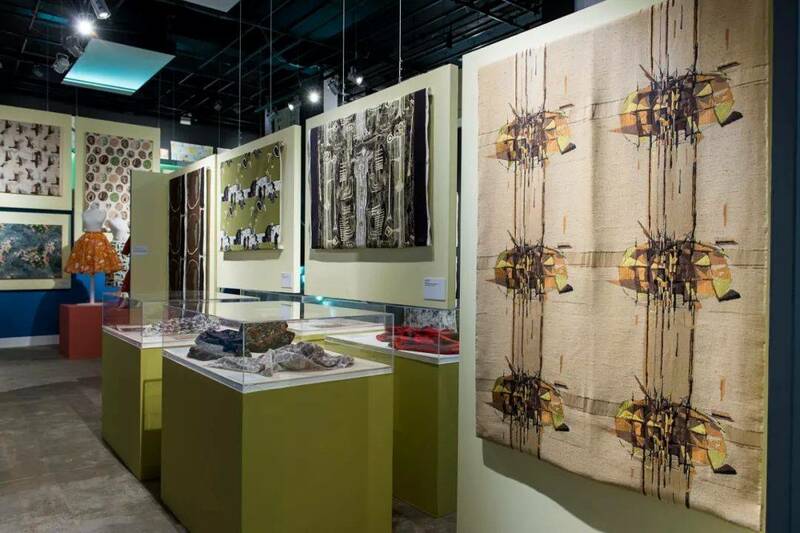 The exhibition created a wider appreciation of textile design as an appropriate medium for artistic expression, which added considerably to the prestige of the British textile industry. 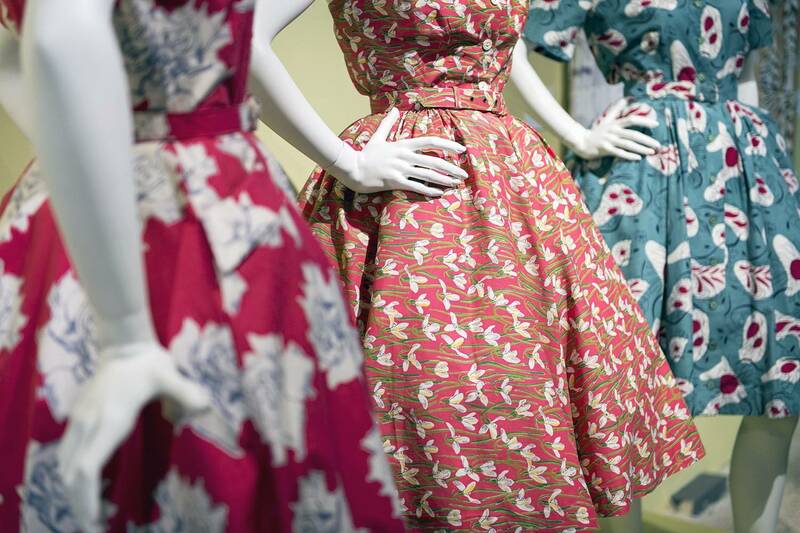 In the mid-1950s, the ‘Modern Masters’ project was a collaboration between the New York-based Fuller Fabrics and some of the most internationally renowned artists of the twentieth century. Picasso had never before agreed to design textiles for any commercial company and it was almost certainly due to his involvement with the project that ensured Fuller a positive response to have artists such as Joan Miro, Fernand Leger, Marc Chagall and Raoul Dufy’s then recently widowed wife. Fuller’s intention was to produce fashion yardage on a vast scale, which the company planned to sell in the lower price range of $1.50 to $2 a yard, literally ‘Art by the Yard’ for the masses. In the early 1960s, Picasso agreed to design for what were, until now, two almost unknown textile projects, both launched in 1963. 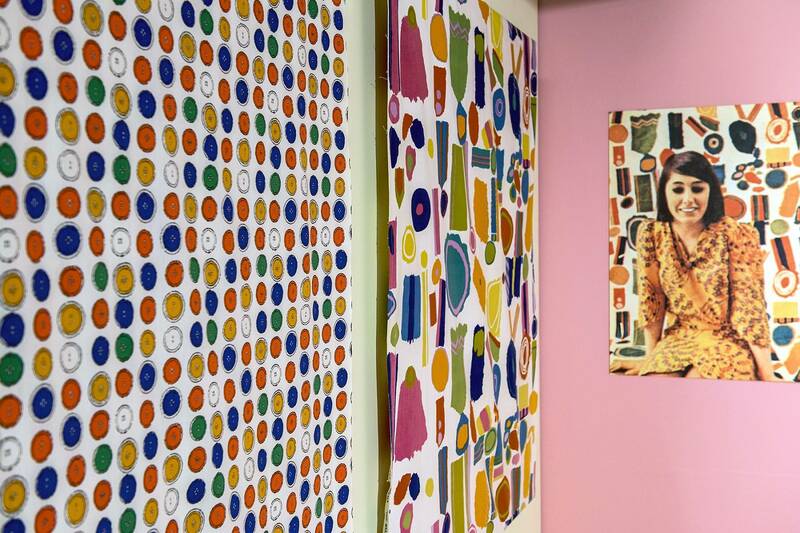 The most spectacular of these was between Picasso and the New York-based textile manufacturer, Bloomcraft Fabrics. A collection of 11 furnishing fabrics were the result of a close collaboration. The designs were taken from a wide spectrum of Picasso’s oeuvre and screen-printed onto a variety of materials in sumptuous colourways. The collection, retailing at approximately $5 a yard, received considerable publicity, with a well-orchestrated advertising campaign and articles in leading magazines. Probably the most unexpected collaboration was between Picasso and the American skiwear manufacturer, White Stag, for textile designs for a collection of après-skiwear. 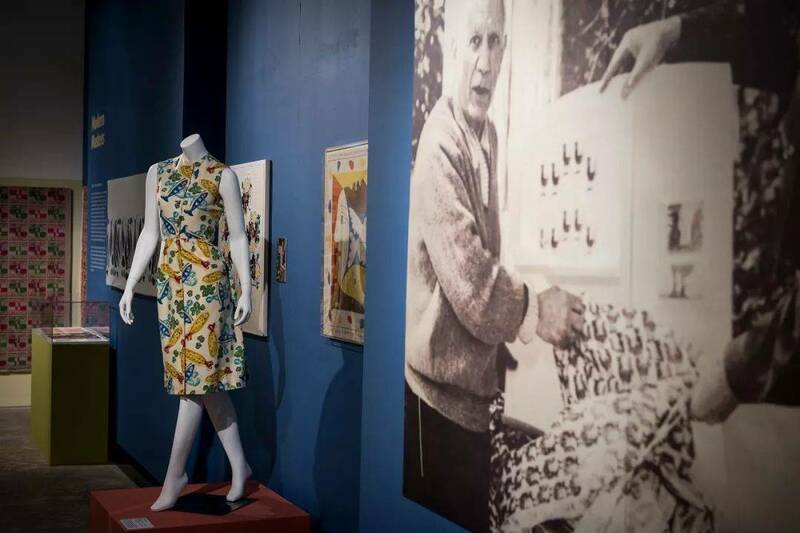 A number of Picasso’s designs were adapted and produced on various fabrics, from printed corduroy ponchos to PVC-coated rainwear, cotton sweat tops and even a ‘Hostess Culottes Dress’, all priced between $9 and $30. From the late 1940s to the early 1960s, Andy Warhol, the epitome of Pop, worked in New York as an extremely successful graphic designer, but his designs for textiles are only just becoming known, such as a group of food-related ‘Pop’ textiles for his friend Stephen Bruce, proprietor of the legendary New York cafe/restaurant Serendipity 3. In Britain, the work of Zandra Rhodes defies the artificial boundaries that are often drawn between fine art, applied art and design，whose work in the 1960s was a dazzling fusion of textile and fashion design with fine art. Rhodes’s most successful design was the furnishing fabric ‘Top Brass’ in 1964. ‘Lipstick’ a screen-printed silk crepe dress fabric by Zandra Rhodes, 1968. Inspired by adverts for Christian Dior beauty products, it was one of the most popular prints by Zandra Rhodes. In the 1950s, a particularly witty and ironic school of satirical illustration in New York evolved, which helped define ‘cool’ in that culturally momentous American decade. Its leading protagonist was the Romanian-born artist, architect and illustrator Saul Steinberg, and Steinberg’s successor, artist and illustrator John Rombola.